I suspect everyone in the world welcomes handing off driving responsibility to the software. We really do not need this skill unless we have a real need. For most of us that is never but every time we get behind the wheel we expose ourselves to other drivers, random moments of inattention and weather, all of which can conspire to ruin your day. All that before we do anything we should not. An operating license can now become a real privilege withdrawn the moment you prove to be foolish and step over the line. And why should you be driving if you do not need to. Car insurance costs will halve by 2020 as driverless vehicles become the norm on British roads, according to figures obtained by Telegraph Money. Self-piloted cars could cut annual premiums by £265 on average within five years because the vehicles are expected to "eliminate bad driving", which is the cause of 90pc of road accidents. According to industry experts, the new technology is developing at such a pace that road accidents caused by human error will be almost eliminated in the next half-decade. Nearly all new cars will park and drive on the motorway automatically, and communicate with vehicles to avoid collisions. John Leech, head of auto at consultancy KPMG, said: "Insurance premiums could halve once vehicles which communicate with each other and an 'autopilot mode' when driving on the motorway are developed – this is likely to happen by approximately 2020." By 2030, connected and autonomous vehicles could save over 2,500 lives and prevent more than 25,000 serious accidents in the UK. 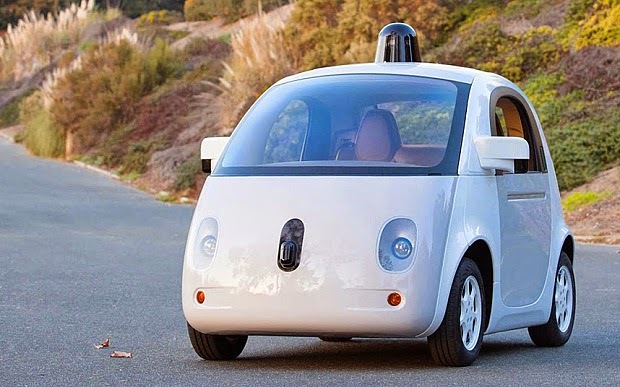 KPMG has a report- "Self Driving Cars are we Ready? Historically costs have been kept high by "avoidable accidents", which account for the majority of insurance payouts, said Matthew Avery, safety researcher at Thatcham, a vehicle rating firm. Whiplash claims and car parking disputes, for example, cost more than £3 billion a year and account for 94pc of all insurance claims. Manufacturers claim hi-tech driverless cars can eliminate these types of accidents. The vehicles are already being tested on the roads in America. According to predictions by the British Insurance Brokers' Association (Biba), nine in 10 cars owned in Britain will be fitted with some sort of "smart" technology within five years, with accident numbers falling sharply as a result. Mr Avery said: "Because of these technologies a lot of commentators are predicting an 80 per cent reduction in killed and seriously injured on our roads within 15 to 20 years which is great news." By 2030, newer automatic vehicles should prevent 90pc of cases of people being killed or seriously injured on the road, according to separate predictions made by KPMG. Arclain! really? you believe their BS? What about the reporters who got driven over by one of these computerized cars?? And as all computers go they can be hacked and that driver will be at the beck and call of those who hack it. Im a mining engineer and im telling you that computers in the hands of this beaurocracy( spelled wrong for youre benefit as only you are the guru here.) these computerized cars are bad news for the people.